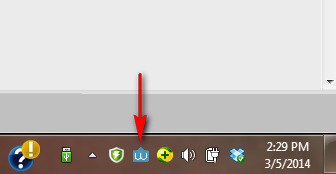 Worksnaps Client runs silently in the background and appears as an icon in your task bar. It is non-intrusive and has very small CPU and memory footprint. When a screen shot is taken and ready to be sent to the server, a notification pops up with a count-down timer. The user can choose to submit, discard or review it. The user can choose to submit, discard or review it. 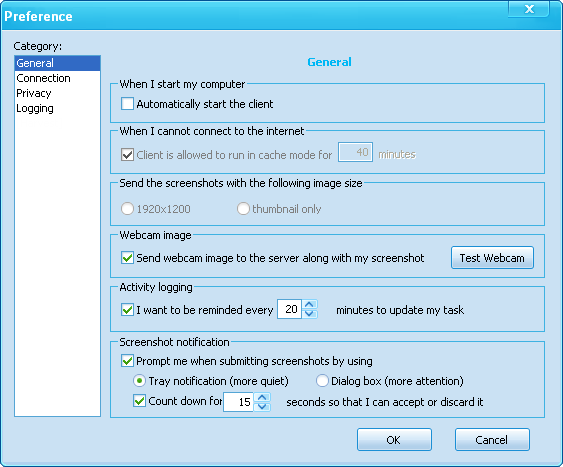 Only if a screen shot is submitted to the server, the time represented by the screen shot will be recorded. Whether the user wants to see a notification when a screen shot is taken. How long the notification dialog stays on screen before it is closed. 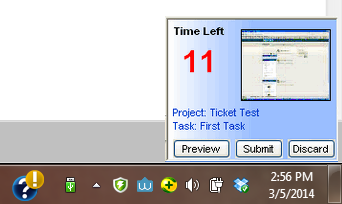 Whether the user wants to be reminded to update task at certain time interval. Whether the user wants to also submit a webcam image. Worksnaps Client is designed to be resilient to intermittent network disruptions. In the case that the client cannot communicate to the server, it stores the data in local cache and transmits it to the server once the network is re-established. This makes Worksnaps a perfect tool for remote work. Worksnaps Client runs on all the popular systems including Windows, Linux and Mac, to meet the versatility of your team.